Monday - Saturday 7:30 a.m. - 10:00 p.m. The enclosed Gymnasium is used for a variety of sporting events at the Mona Bowl. It has amenities for Basketball, Volleyball, Indoor Hockey, Netball and Badminton. 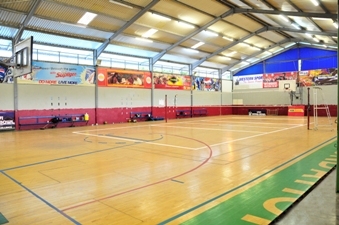 The Gymnasium is used primarily by students, however the Sports Unit facilitates the rental of the facilities to different associations and individuals. 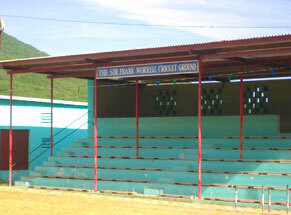 The lush green cricket field is named in honour of former West indies cricket team captain, Frank Worrell. It has amenities to host regional and international cricket matches. There is an Olympic size swimming pool that caters to the needs of staff and students. 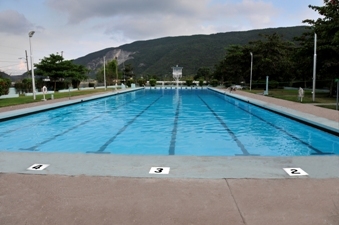 The pool is also used for both competitive and recreational swimming. There are currently three (3) main football fields at the Mona Bowl. Each football field is different in size to suit various levels of football competitions played. The Mona Bowl can also accommodate night matches and training. 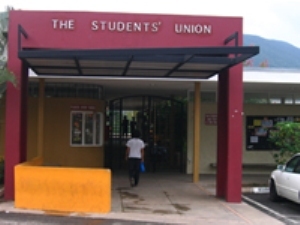 The Students' Union, houses an average weight training gym. There are also facilities for Badminton and Table Tennis. There are three (3) paved netball courts at the Mona Bowl. 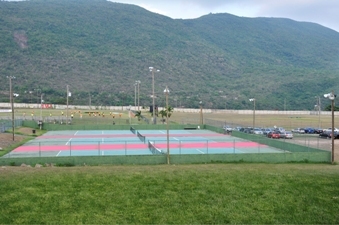 The light at the courts facilitates night matches and training for teams. 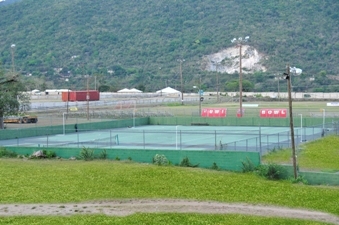 There are three paved Lawn Tennis Courts geared towards providing a medium for both recreational and competitive tennis. 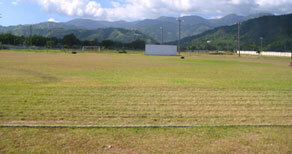 The 400m "grass track" at the Mona Bowl is considered as the best of its kind in the island. It strategically surrounds the Frank Worrell Cricket Ground. The track is also the training ground for many World Class track & field athletes and the IAAF High Performance Training Centre. The UWI/Usain Bolt Regupol Track was officially opened on April 30, 2010. 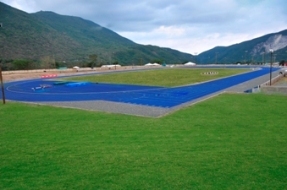 The 'Blue track' is the first of its kind in the Caribbean and is in fact the best in the world. The 400m track has eight lanes and is similar to the one used in the Berlin Wolrd Championship Stadium, which is blue with white lanes. This facility of world class stature is home to The Honorable Usain Bolt, Racers Track Club, The UWI Track and Field Team, the IAAF High Performance Training Centre and for Track and Field Events at the Mona Bowl. 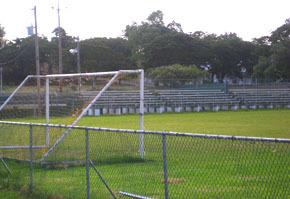 The Mona Bowl also has a Rugby field that is used to host local and regional competitions. 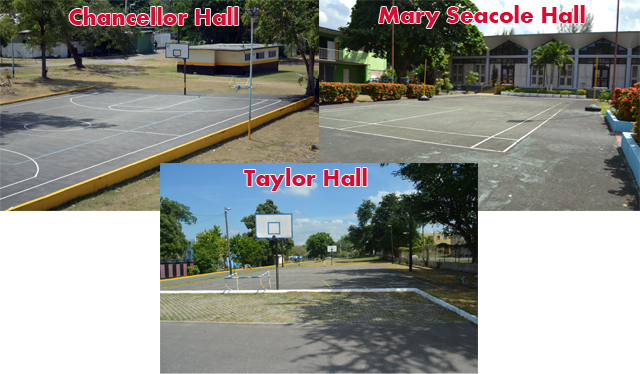 UWI has floodlit hard courts at the Mona Bowl, Chancellor Hall, Taylor Hall and Mary Seacole Hall. Two concrete cricket pitches are also located at Chancellor Hall for practice.